OK I'm running ms2 23.5 lb injectors basically stock ignition. Am I gonna be able to put 250 to the wheels with this recipe? Of not what am I missing? Needs bigger injectors. HX35 is overkill for so little power, will lag like heck. Get a smaller or more modern turbo. Pointless to use such a big turbo unless you're going for big power and don't mind the lag. 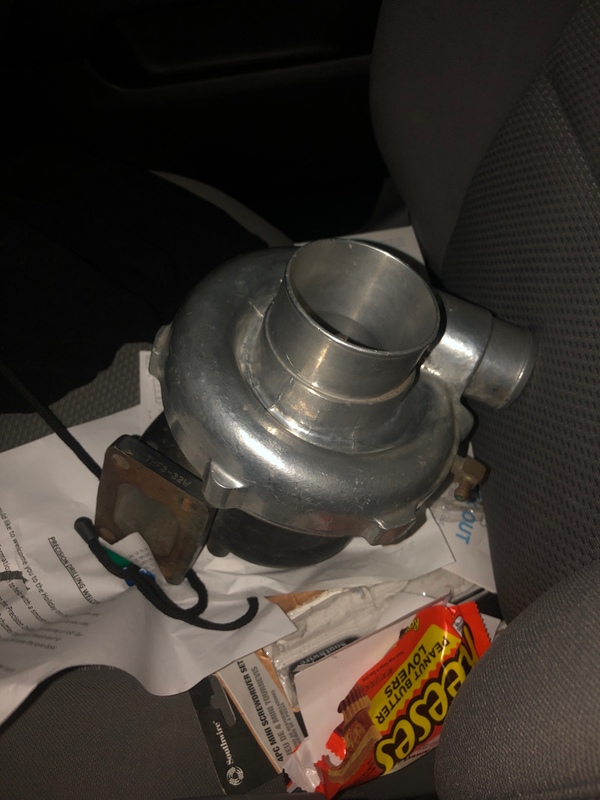 For 250whp go with a T3 super 60 or something, that way you get good boost response. Thanks for the feed back! I definitely don't want Abby more lag than is necessary. I'll be looking into the super 60. The Ford 40# injectors are perfect for your application. Like has been said, hx35 is a bad turbo for 250... I like Garrett so would use a GT2860rs for your goal. I'll be looking into the Garrett as well and the 40lb injectors! Thank you!